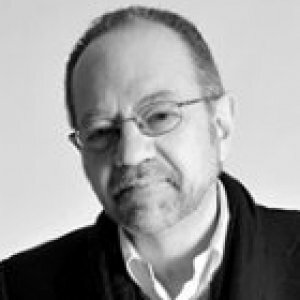 Jonathan D. Moreno is one of fourteen Penn Integrates Knowledge university professors at the University Pennsylvania, where he is also Professor of Medical Ethics and Health Policy, of History and Sociology of Science, and of Philosophy. In 2008-09 he served as a member of President Barack Obama’s transition team. His book, The Body Politic: The Battle Over Science in America, was named a Best Book of 2011 by Kirkus Reviews. Among his other books are Mind Wars: Brain Research and the Military in the 21st Century, and Undue Risk: Secret State Experiments on Humans. Moreno is an elected member of the Institute of Medicine of the National Academy of Sciences and is a National Associate of the National Research Council. He is a member of the UNESCO International Bioethics Committee and has served as a senior staff member for three presidential advisory commissions. Moreno is a Senior Fellow at the Center for American Progress in Washington, DC, where he edits the magazine Science Progress (www.scienceprogress.org). He has served as an adviser to many governmental and non-governmental organizations, including the Howard Hughes Medical Institute and the Bill and Melinda Gates Foundation. Moreno has published 15 books and more than 500 papers, book chapters, reviews and op eds. He is a frequent contributor to the Huffington Post, Psychology Today, and other major media. We have entered what is called the “biological century” and a new biopolitics has emerged to address the implications for America’s collective value system, our well-being, and ultimately, our future. In this talk I assess this new force in our political landscape—one that fuels today’s culture wars and has motivated politicians of all stripes to reexamine their platforms. Mind Wars covers the ethical dilemmas and bizarre history of cutting-edge technology and neuroscience developed for military applications. I discuss the work of the innovative Defense Advanced Research Projects Agency (DARPA) and the role of the intelligence community and countless university science departments in preparing the military and intelligence services for the twenty-first century. Neuroethics studies the way that the brain influences our moral choices and the ways that neurotechnologies will shape the human future. Is there a self? Do we have free will? Can drugs and devices improve our minds or do they present too many risks? In this talk I explore these and other challenges and possibliities of the new brain science.